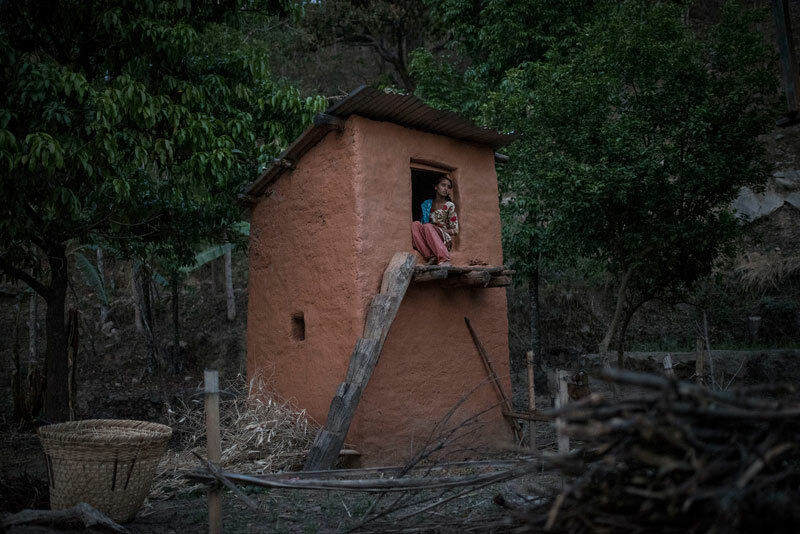 In the rural areas of Nepal, there is an ancient belief that considers menstruation impure and requires women to live in isolation during their menstrual period. This practice, however, is in decline thanks to the emergence of activist groups which, with the West’s influence and access to new technologies, are acting to eradicate it. The work by Maria Contreras Coll illustrates how Nepalese women experience this custom and how they are fighting to abolish it. Monday to Saturday, from 10 a.m. to 2 p.m., and from 5 p.m. to 8:30 p.m.
Sundays, from 10 a.m. to 2 p.m.
Tuesday to Friday, from 10 a.m. to 1 p.m., and from 4 p.m. to 7 p.m.
Saturdays, from 10 a.m. to 2 p.m., and from 5 p.m. to 8 p.m.
Sundays and holidays, from 10 a.m. to 2 p.m.